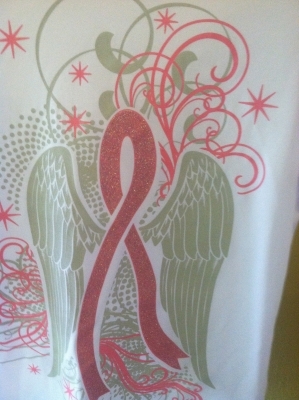 Our Pink Ribbon and Wings design on a white wicking shirt. This shirt is also available in pink or black. Comes in sizes Small-2XL. The shirts run a bit small- so I advise ordering one size up. Please choose color, size and style (with or without the word SURVIVOR on your shirt) from drop down menu when ordering.